Manufacturers must do things differently to win market share in today’s environment. To survive and thrive, manufacturers must focus on growth, and one of the ways manufacturers can achieve this is to leverage Industry 4.0 technologies. Terri Hiskey from Epicor looks at the opportunities these technologies offer. Industry 4.0 is all about doing things differently—introducing automation and data exchange in manufacturing technologies. It includes cyber-physical systems, the Internet of Things, and cloud computing. The goal is the “smart factory”, with cyber-physical systems capable of autonomously exchanging information, triggering actions, and controlling each other independently. This facilitates fundamental improvements to the industrial processes involved in manufacturing, engineering, material usage, asset performance and management, and supply chain and lifecycle management. While there is a great deal of discussion about the various technology enablers of Industry 4.0, it’s more crucial to reframe the discussion around the business benefits. Industry 4.0 isn’t a technology initiative. It’s the future of manufacturing as we know it. It’s not just about improved performance and efficiency—investments into new manufacturing technologies enhance agility, flexibility, and speed-to-market when designing and launching new products and services. Adopting an Industry 4.0 approach also provides the means to navigate change. Manufacturers are reinventing their business models to focus on value-added services, and/or entering new geographic markets or adjacent market segments. Today’s Industry 4.0-outfitted factories are empowered to drive productivity, and this keeps costs down while ensuring quality and consistency across manufacturing processes globally. These tenets, in turn, support several business imperatives. These include the following. 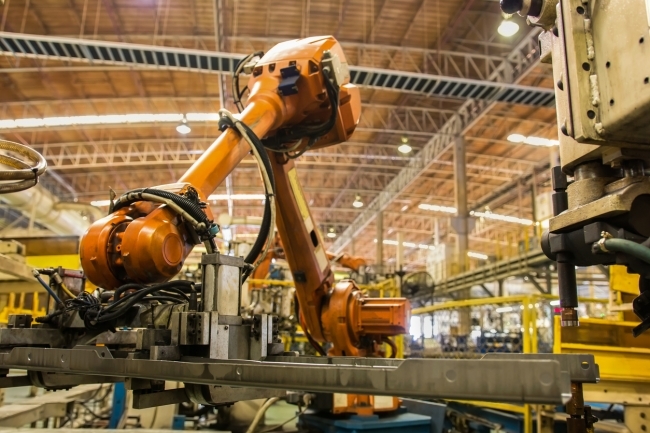 Automation in the factory gives manufacturers the ability to transition personnel to more value-added activities, and provides the foundation to extend and expand product and service offerings. As they look to expand globally, automation maintains process consistency across locations. This also allows manufacturers to focus on what they do best to find and refine their sweet spot. This moves manufacturers into a more advantageous position from taking on every job to taking on those jobs the organisation can do well, while achieving the best profit margins. Cloud technology is central to Industry 4.0. It allows manufacturers to scale operations by focusing more on core competencies versus IT operations. Many small to mid-market manufacturers have limited IT staffs—they must be very strategic with IT resources. The cloud is the great IT equaliser—giving small and mid-market enterprises access to leading software capabilities, while freeing them from having to monitor and manage infrastructure. The cloud also gives manufacturers the ability to spin up computing power, providing agility to help organisations “rise to the occasion” when needed. As digitisation in the factory continues, security implications grow and a sophisticated and layered approach to security is critical. This is challenging for manufacturers who may not have the security resources in-house to adequately address this growing challenge. Again, leveraging a cloud-hosted software model can give manufacturers the ability to confidently charge forward in their Industry 4.0 initiatives. 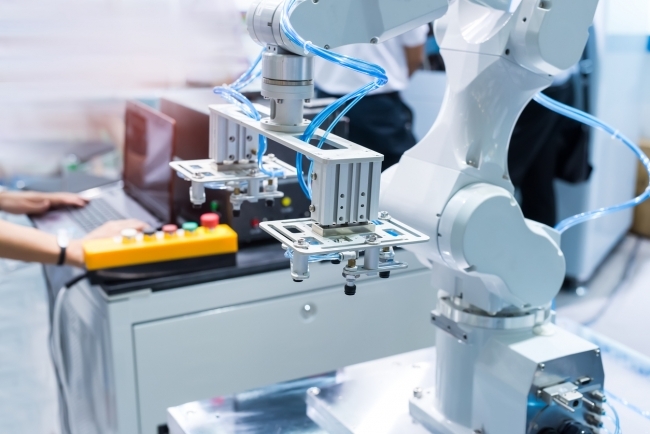 In an increasingly complex and global manufacturing enterprise, a single digital thread across all operations is needed to support responsiveness, improve collaboration, reduce risk, and streamline compliance requirements. Visibility from order entry to inventory to finished product is required to inform customers, partners and other stakeholders as to its status at any time. This visibility is key to provide the omni-channel order and fulfilment options that customers demand today. It’s also critical to support co-creation—the ability to collaborate with customers and suppliers. Making business processes transparent and/or open to engagement from customers and suppliers can support improved satisfaction, stronger relationships and loyalty. Mass market manufacturing has given way to personalisation and customisation. This entails shorter production runs and the need to switch out lines more often. Manufacturers need to be able to configure and reconfigure the shop floor quickly and easily to avoid expensive machine and line downtime. Velocity is the new business currency. Technologies such as augmented reality can help reduce lag time between design and production. 3-D printing is pivotal in this area. To date, the use case for rapid prototyping has proved to be a game changer, and other broader use cases are now coming into focus. These include 3-D printing for spares or replacement parts—providing the ability to improve responsiveness for customers at a time of need. Additionally, manufacturers also benefit from 3-D printing of replacement parts—another game-changing value proposition when you consider all the benefits—reducing the acquisition time and cost of parts, especially for old or obsolete parts, and enabling manufacturers to implement speedy repairs that significantly reduce downtime while extending equipment shelf-life and return on investment. Crucially, manufacturers need to address whether the business systems they have in place are ready to support the journey toward Industry 4.0. Product Lifecycle Management (PLM), Enterprise Resource Planning (ERP), Manufacturing Execution Systems (MES), and Computer-Aided Drafting/Computer Aided Manufacturing (CAD/CAM) all must be integrated to support the move toward increased digitisation and customisation. So many organisations are spending many IT cycles on integration (a necessary evil) that it takes away from their ability to focus on innovation (competitive advantage). This integration albatross is the subject of a study by Accenture, which reports that a typical IT budget may allocate up to 90 percent to maintaining the current state and just 10 percent on innovating—a “technology debt” that is bankrupting competitive advantage. The boundaries between production and management must disappear, and ERP, MES and other critical systems must form an integrated unit if businesses are to realise the growth opportunities presented by this new age of intelligent manufacturing. Evaluating the existing IT environment is the first step to understanding how ready—or unprepared—manufacturers are for Industry 4.0.